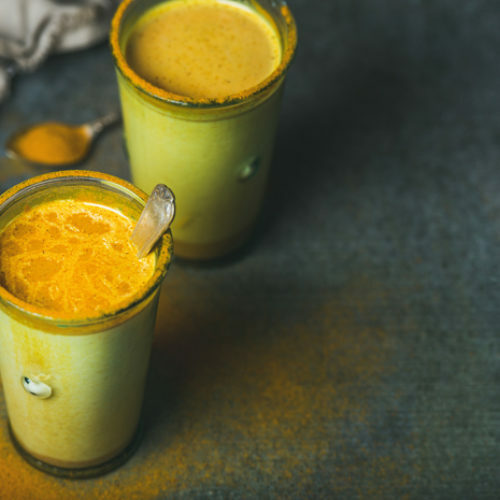 Indian cuisine has evolved over a period of 5000 years, and, shaped by the influences of religious beliefs, social customs and foreign infiltrations, offers a valuable insight into the diverse cultures of this exotic subcontinent. Famed the world over for its cuisine, India can entice visitors for its gastronomic journeys alone. Let your taste buds be tantalised with street food tours, traditional home cooking, gastronomic hot spots and regional culinary delicacies. 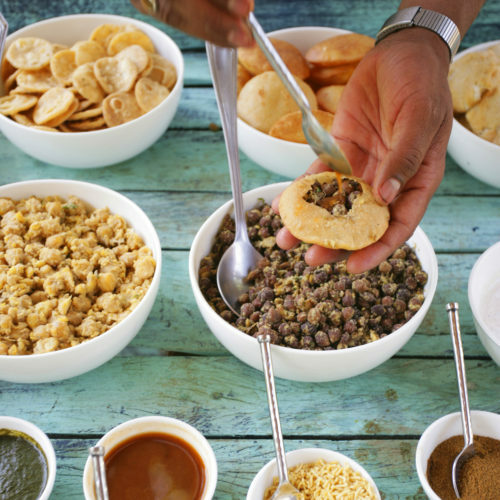 India’s cuisine can be as varied as its culture and landscape. From the smoldering tandoors and slow cooked, meaty delights of Rajasthan and the Awadhi cuisine of Lucknow, - rich in mutton, paneer and deep spices, to the snack obsessed Gujarat, with its vegetarian delights. 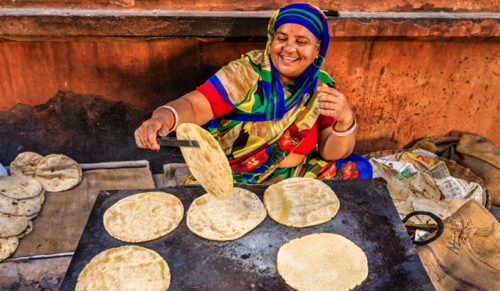 In Ahmedabad, tour the delicious street food vendors and sample the spiced vegetarian food, carefully prepared with a strict adherence to the Jain religion. In Amritsar enter the heart of the Sikh religion, and lend a hand in the kitchen of the magnificent Golden Temple, which serves more than 100,000 meals to its fellow community every day. 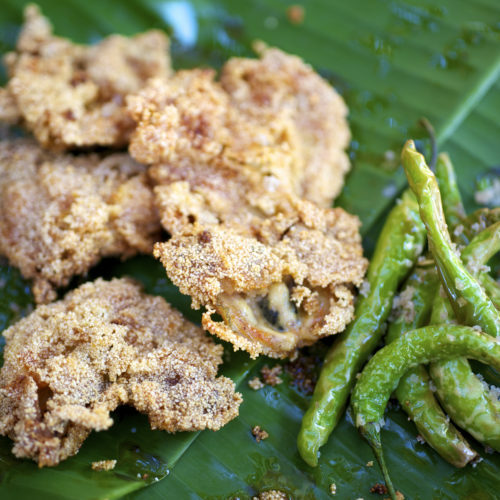 In West Bengal enjoy the subtle Bekti fish curries and sweet plump, pastel hued mithai. In the South, Hyderabad, the most southern stronghold of the Mughal Empire is renowned for its fragrant biryanis, as is Goa for its spiced seafood & delicate coconut curries. Take a cooking class at the colonial Siolim House, a beautiful Portuguese manor house situated in North Goa. Both Kerala and Tamil Nadu offer distinctive cuisine, from the tantalising vegetarian thalis to idlis, delicious dosas and pungent, peppery Chettinad masalas. 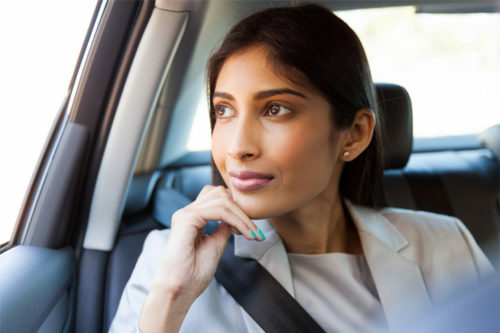 To many, Mumbai is considered to be the gourmet capital of India with its extraordinary array of luxury hotels, restaurants, food markets, street stalls and historic cafés. 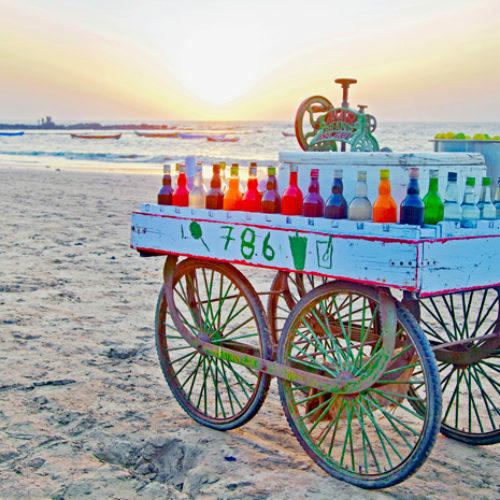 Watch the carnival unfold at dusk, on Chowpatty beach when the locals take their evening stroll amongst the many colourful street food vendors peddling the famous bhel puri, pani puri and sizzling ‘Mumbai sandwich’ pao baaji. Head to Swati Snacks for a taste of the famous street food or to famous hippie hang out, Leopards café. 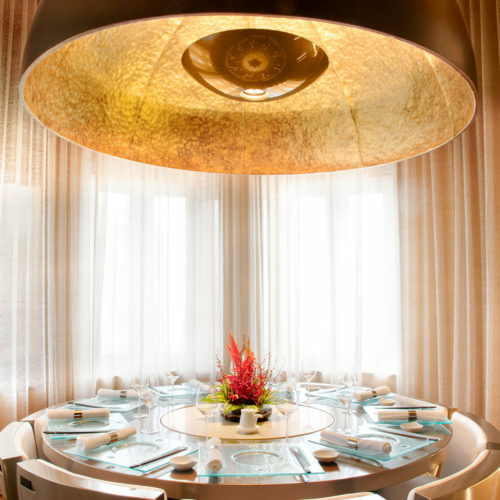 For dinner, head to Trishna – a historic and intimate seafood restaurant or the well established hot spot, Indigo. Dine at the prestigious Taj Mahal Hotel and sample dishes from all over the country at one of its eight restaurants, cafes and bars. Bukhara is considered one of India’s best-known restaurants. Situated at the ITC Maurya Hotel in New Delhi, the culinary institution is still providing, the famous northwest style of tandoor after 35 years. 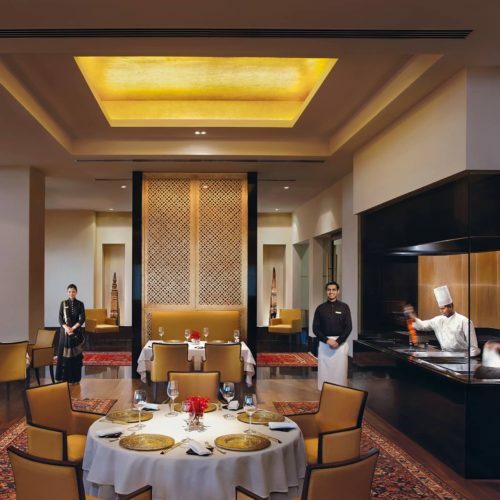 The Taj Mahal Hotel, New Delhi is another gastronomic hot spot, where you can attend the cookery tutorials by award winning chefs, ending in a three-course meal you have jointly prepared. At The Oberoi Rajvilas, Jaipur guests can try their hand at preparing traditionally Rajasthani dishes, under the supervision of the world class Chefs. At the luxury Leela Hotels, take a three day Culinary sojourn, taking you right into the heart of the local markets. In Colonial Cochin, visit a local home to learn the basics of proper Keralan Thali.